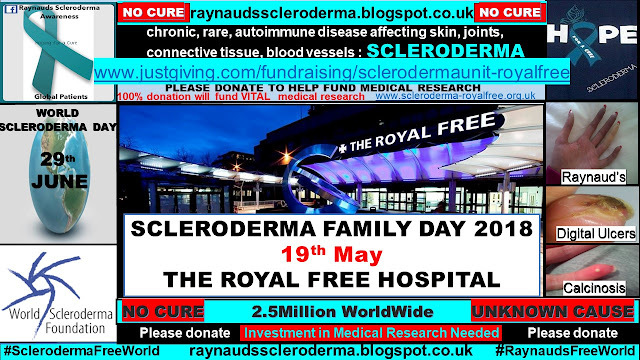 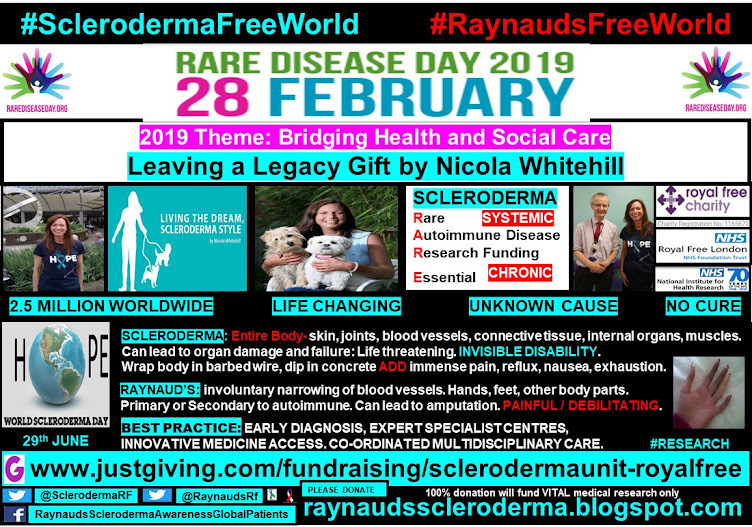 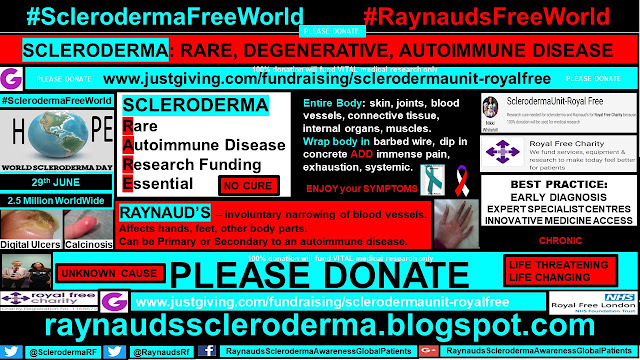 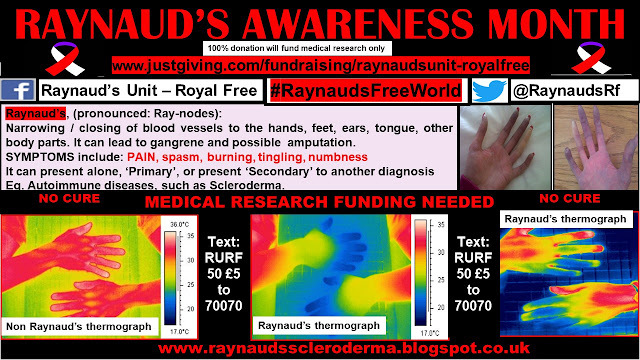 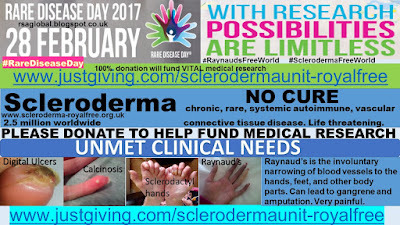 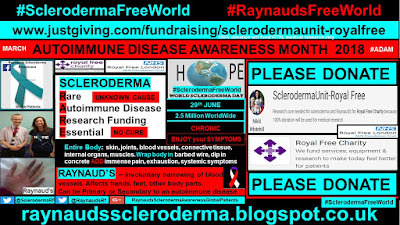 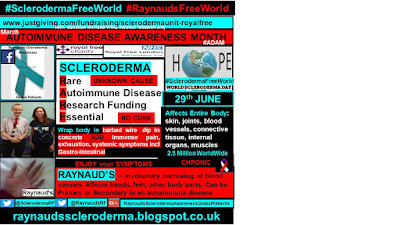 Raynauds Scleroderma Global Patients: EUSTAR Registration Impacts Favourably On Scleroderma, Raynaud's Clinical Practice – JSRD, Journal of Scleroderma and Related Disorders, Vol.2 Issue 1, Jan - Apr 2017. 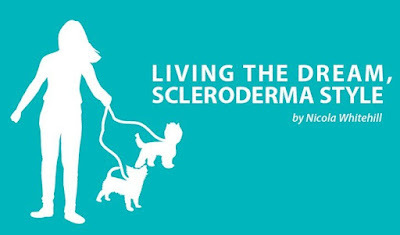 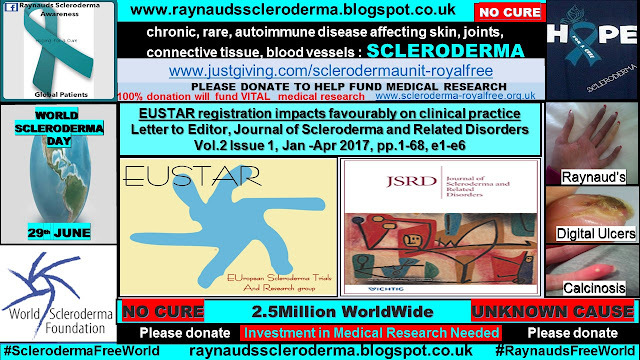 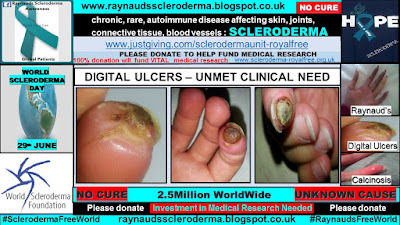 EUSTAR Registration Impacts Favourably On Scleroderma, Raynaud's Clinical Practice – JSRD, Journal of Scleroderma and Related Disorders, Vol.2 Issue 1, Jan - Apr 2017. 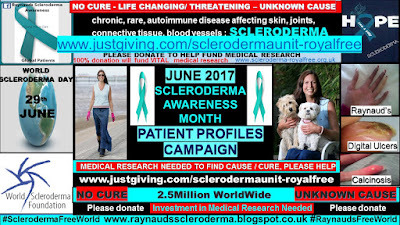 Vol.2 Issue 1, Jan - Apr 2017.
and, the collection of uniform clinical trial data. 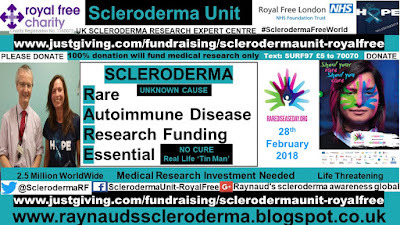 ‘The European Scleroderma Trials and Research group (EUSTAR) was formed in 2004 and aims to foster the awareness and research of systemic sclerosis (SSc). 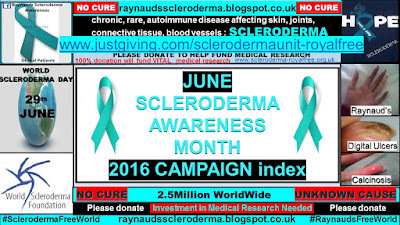 Our Unit became affiliated to EUSTAR in 2015. 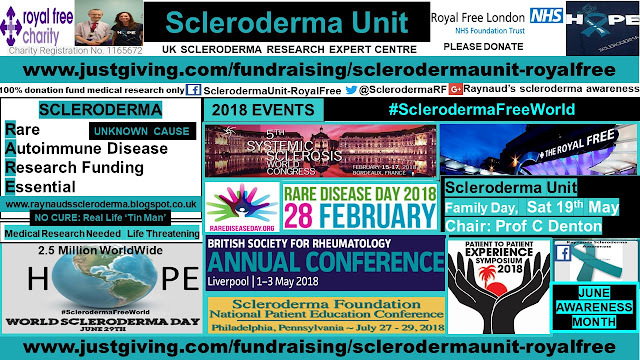 The affiliation process started with a request to the Portuguese Data Protection Authority (Comissão Nacional de Protecção de Dados – CNPD)….. 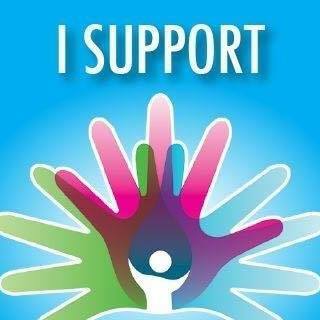 Informed consent was obtained from all individual participants included in the study.’…. 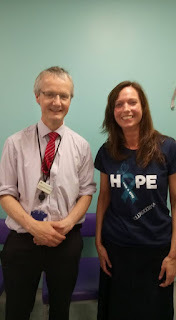 ‘EUSTAR registration provided us with a practical framework for patient phenotyping, an update of screening procedures and an internal review of therapy suitability on an individual basis. 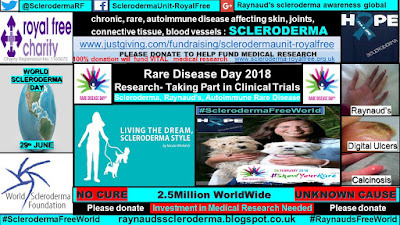 The identification of anti-RNA polymerase III antibodies also allowed us to participate in a EUSTAR study (accepted for publication in Journal of Rheumatology). We encourage EUSTAR registration as we demonstrate its favourable impact on participation in clinical research, patient screening and treatment. 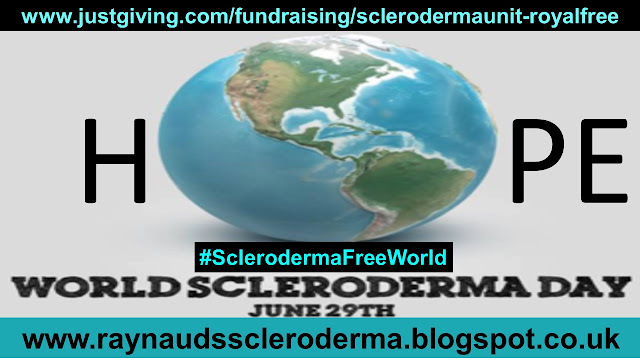 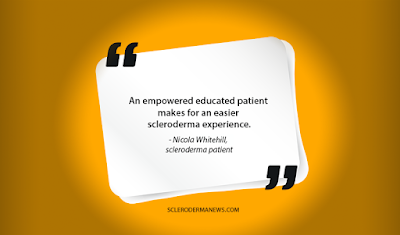 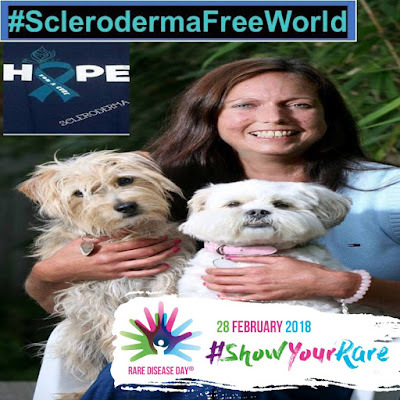 Due to scleroderma being a rare disease and therefore low patient numbers for purposes of clinical data results, global collaboration for purposes of medical research and best treatment practice is essential.